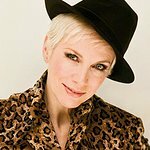 On June 7, Annie Lennox addressed the HIV Priorities for Positive Change: In Women’s Words at UN Headquarters in New York. “In November 2003 I had the privilege to take part in a special concert in Cape Town, South Africa, to launch Nelson Mandela's HIV Aids campaign, 46664," she said in her speech. "The following day, all the artists were invited to join with him on Robbin island, where he addressed an assemblage of international press, describing the AIDS pandemic as a virtual genocide… which was affecting women and girls in South Africa and the rest of the Sub Saharan continent on a catastrophic level. “This was a profound moment of awakening for me. Up to that point I hadn’t fully realized what had been taking place, and as a woman and mother myself, I was astounded by the overall lack of visibility and knowledge – in terms of media coverage or public awareness – as to how the AIDS pandemic has devastated the lives of millions of women and girls. And that is how I started to campaign, to try to contribute my voice as part of a collective call to action . “Today, in 2011 – thirty years after AIDS was first discovered – we know that it is now the leading cause of death of women of reproductive age around the globe. “In my view, negligent non-action as a response to the HIV epidemic – as it affects women and girls – is just as bad… just as accountable… as criminal action. “We urge you… we implore you… please do the right thing for women and girls. What we need is action, not rhetoric. To read the full speech, visit the SING Campaign website.